We are excited to work with you this year at our clinics and summer camp. 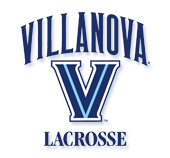 At Villanova, our goal is to help you take your game to the next level in a fun and competitive way. Through our highly qualified coaching staff, we will strive to perfect your stickwork, individual skills, and knowledge of the game. If you have any questions about our events, please contact us. All camps/clinics are open to any and all entrants (limited only by number, age, grade level and/or gender). If cancellation is received 2 weeks prior to the event start date, you will receive a refund of the amount paid minus the service fee. Cancellations received within 2 weeks of the event start date will result in forfeiture of the entire fee. Medical exception: if the participant cannot play due to medical reasons, we will refund the amount minus the service fee upon proof of documentation from a doctor. If the event date has started all payments are final.